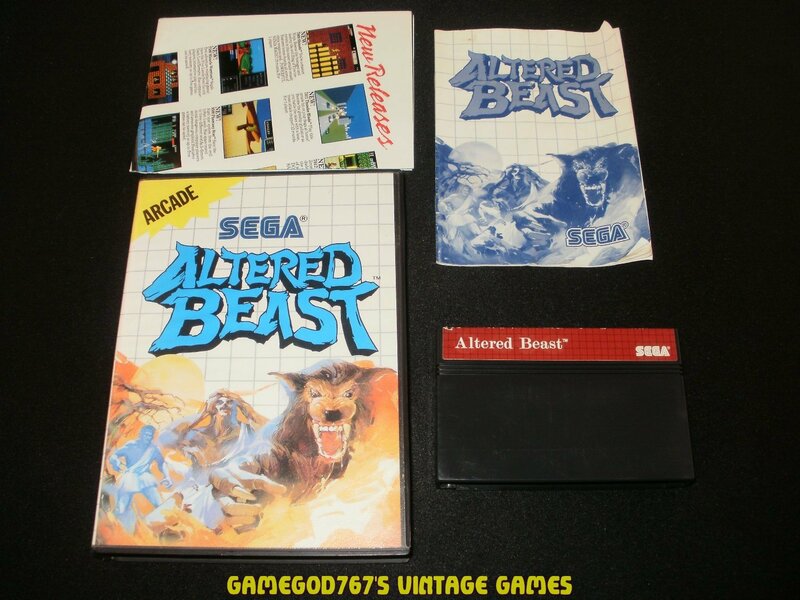 Good condition Altered Beast for the Sega Master System. Game is Complete In Box (CIB) and comes with original box, poster and manual. Everything is in decent shape.